There’s something endearing about a maternity session including both parents, don’t you think? 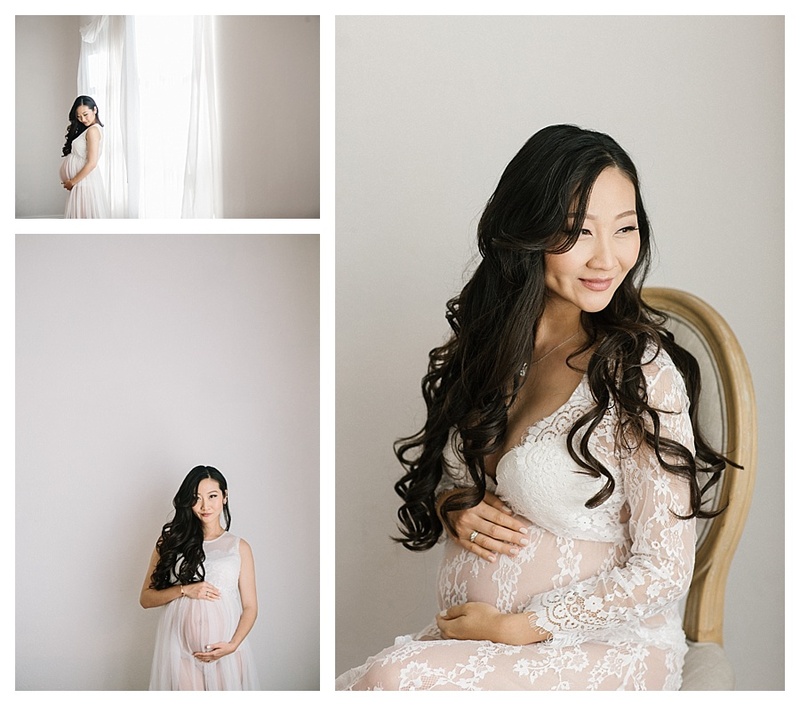 We absolutely loved this in-studio shoot with gorgeous momma-to-be Carrie and her sweet hubby—the love between them, and excitement they share for their new bundle of joy is so evident in these bright and elegant images. How special to be able to look back at these memories together when baby is all grown up. To reminisce about this milestone moment in your lives, to recount the love you shared, and still share. We believe that maternity shoots aren’t just for the mommas! Planning one for yourself? Bring that partner of yours along and share in the memory making together!